Rear Subframe Bushing Set, Poly 75D for BMW E90 E92 E93 (325, 328, 330, 335, M3), E82 E88 (128, 135, 1M). The stock rubber subframe bushings deflect as torque moves through the drivetrain, which allows the entire rear end to move. 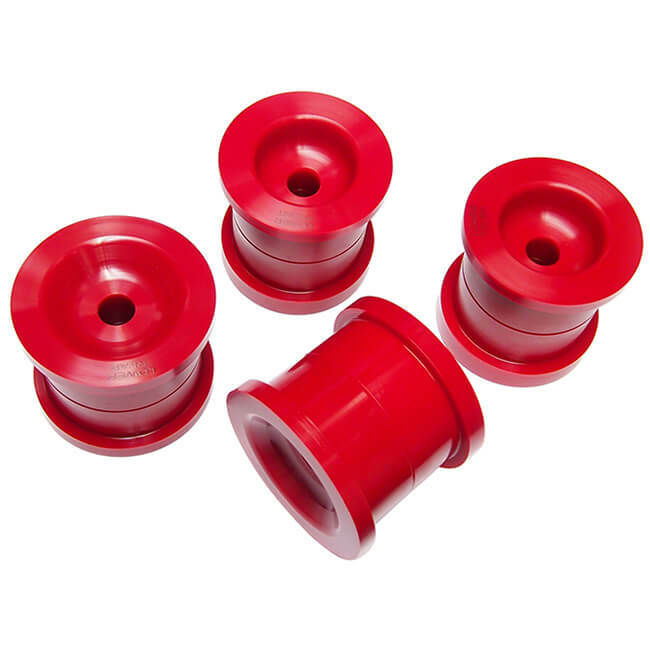 Upgrading your stock subframe bushings to our poly 75D subframe bushings will eliminate virtually all subframe movement for increased power transfer to the rear wheels. It is also the first step in maintaining proper rear-end geometry and alignment. The material used for the subframe bushing location(s) must match the material used for the diff mount bushing(s).